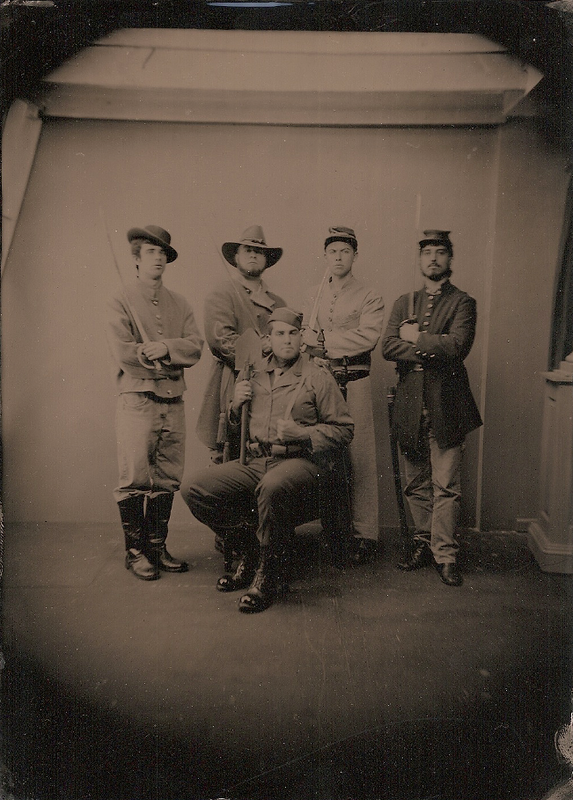 If you are interested in spending a semester away from your home institution but don’t feel like heading for western Europe, and are a Civil War buff, the Gettysburg Semester is probably right for you. 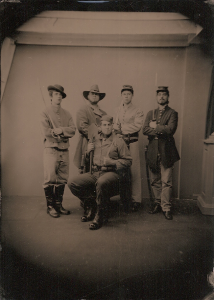 The Gettysburg Semester, directed by Lincoln Scholar Allen C. Guelzo, is a semester designed to dive students into Civil War Era studies at Gettysburg College. The Semester offers an array of courses dealing with the American Civil War, including a “field studies course,” in which students explore the many battlefields not far from Gettysburg, Pennsylvania. The Gettysburg Semester is a great alternative to the traditional study abroad semesters offered by many colleges. Twitter is the latest craze on the internet and its reach already extends across countless aspects of society, from news reports to celebrity gossip. It is only natural that the 140-character phenomenon would extend into the historical realm with TwHistory. TwHistory is using the Twitter niche to tell history’s stories in a new and interesting way. As a tool, the team behind TwHistory argues that Twitter can be used to tell individual stories in a day-by-day format. Their current project is the Battle of Gettysburg and individuals currently “tweeting” include Abraham Lincoln, George Meade, and Edward P. Alexander. TwHistory is still a work in progress and is always looking for more volunteers. A free Twitter account is required to view TwHistory’s publications and while you are at it don’t forget to use the service to follow the House Divided project. With Lincoln Productions combines the acting talents of Michael Krebs and Debra Ann Miller to recreate moments in the life of Abraham and Mary Todd Lincoln. 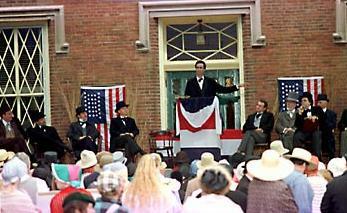 The group has performed for the History Channel, news casts, schools, and special events; however, its most popular reenactment remains the “Lincoln Douglas Debates from 1858,” a series sponsored by C-Span. Located on the With Lincoln Productions’ page is a section highlighting the Galesburg Debate reenactment with several short clips from the three hour event. Although filmed in 1994, the video represents the most realistic interpretation of Lincoln as he would have appeared in 1858. Also, the debate itself offers thorough orations from both Lincoln and Douglas as this reenactment follows the three hour format established by the two politicians. As an added bonus, the site houses a link to the C-Span video library where you can watch a full version of the debate on flash (you may need to update your flash player), or you may simply purchase the DVD. This is another great site for those of us looking to learn more about the debates. Interested in all things Lincoln? The city of Ottawa, Illinois’ webpage houses a pdf entitled The OttawaLincoln Knew. This file pulls most of its information from Aletia Tisler’s book, “Lincoln was Here,” using only facts and anecdotes pertinent to the town of Ottawa. 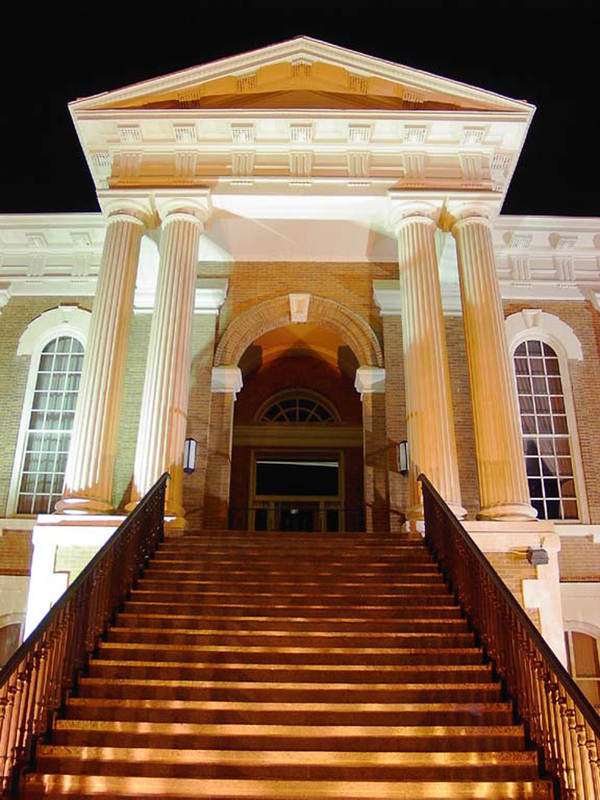 Although the section focuses mainly upon the Lincoln-Douglas debate that took place there in 1858, it also showcases Lincoln’s first meeting with Douglas in the courtroom. At the bottom of the file, the site includes a map of modern day Illinois with location markers that specify places made famous by Lincoln’s presence. This site would be especially helpful for someone trying to create a unique family vacation seeped in history. House Divided is a great place to learn more about the Lincoln Douglas Debates. Through the Lincoln Douglas Major Topic Page, you can search by different events, such as by individual debates. 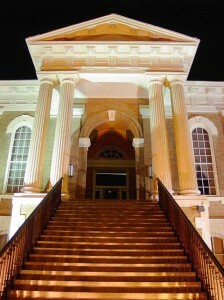 One such debate was the fourth, held in Charleston, Illinois. By searching through the Fourth Debate’s event page, one can find modern scholarship by prolific writer David Herbert Donald; people, places, and documents involved. 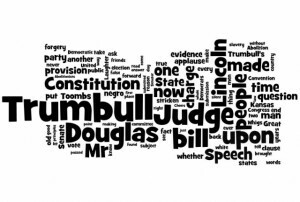 Also included is a word cloud generated by Wordle displaying the top fifty words spoken during the debate, offering a new perspective on an old debate. House Divided offers ample important information on these nation defining debates. While sifting through the House Divided images I found a unique image that looks southward down the Mississippi River. This zoomable picture allows the viewer to magnify sections of the image in the browser window without loosing clarity. Within one screen you get an idea of just how close locations such as Cairo, Illinois and Vicksburg, Mississippi were via the river. Definitely an interesting reminder to aid us in maintaining our geographical perspective. Today, if he were alive, it would be Young Marshall Moody‘s 187th birthday. 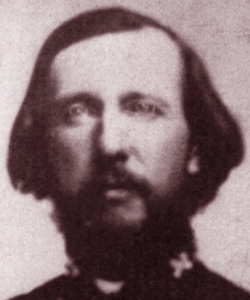 Moody was a Confederate Brigadeer General from the Old Dominion State. After initially fighting for Virginia, he then rose through the ranks with outfits from Alabama and finally surrendered his brigade at Appomattox Courthouse. Moody is featured on the Daily Report of the House Divided site for June 23, 1859, on which he turned 37. The Daily Report features a day-by-day calendar showing events, birthdays, and documents. The Daily Report is a great way to look at the era in a whole different light, closer to how they experienced it day-by-day. In 1858, many important ideas were spread through letters. Thus, during the Lincoln Douglas Debates, Lincoln and Douglas corresponded with many contemporaries concerning the senatorial race. These letters provide an excellent window into the minds of these great men. 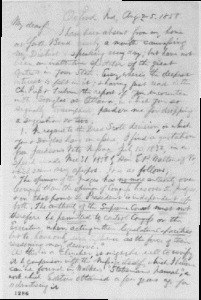 One such letter, sent August 25, 1858, was a letter written to Lincoln by Schuyler Colfax advising Lincoln on such matters as the Dred Scott Decision and the spread of slavery. 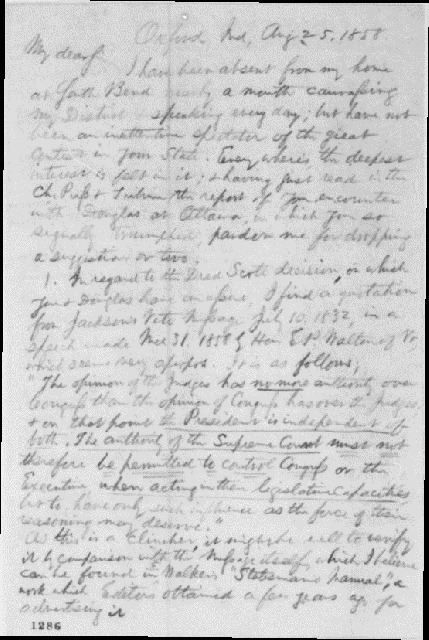 This is just one letter of many found on the documents section of the Lincoln Douglas major topic page. House Divided has a dearth of information concerning the Lincoln Douglas Debates. The Northern University of Illinois page, The Lincoln/Douglas Debates of 1858, offers wide-ranging coverage of the historic oratory campaign. The site houses numerous primary documents including debate transcripts, maps, and contemporary press coverage. Also, The Lincoln/Douglas Debates of 1858 provides a video podcast on the debates by Columbia’s Eric Foner as well as lessons plans for teachers that include brief descriptions of the debate topics and guided reading assignments for students. This site would be a great addition to any history teacher’s repertoire of resources. 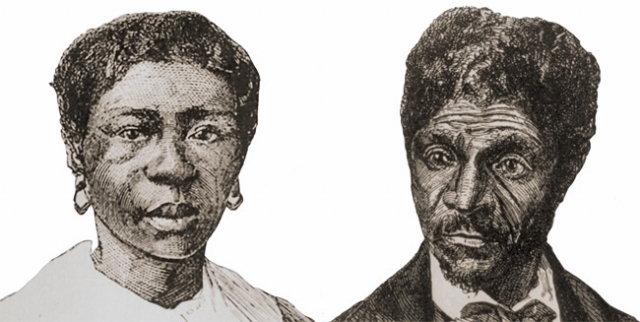 Interested in Learning More About the Dred Scott Case? If you are interested in the Dred Scott Case of 1857, a great place to start your research is House Divided’s Major Topic Page on the Dred Scott Case. There you can find excerts of modern scholarship concerning the infamous case. Also by searching through the tabs, you can find information reguarding the people involved with the case, a timeline of events, primary source documents involved in the case, including transcriptions, and sources where you can learn even more about this ex-slave who was suing for his freedom. The verdict of the Dred Scott Case, as handed down by Chief Justice Roger Brooke Taney, was an instrumental case that led the nation deeper into turmoil, closer to the stirring civil war.